Magic squares are rather old. According to legend the first known magic square was discovered by Emporor Yu in China about 2200 B.C. When he was walking on the banks of the Loh river, he saw a mystical turtle with some dots within squares on its shell. The very first textual reference can be found, however, in the writings of Zhuang Zi (369-286 B.C.). 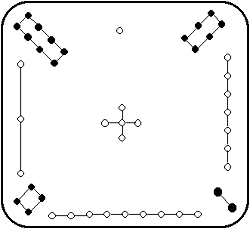 In this representation, the odd numbers are represented by white dots (Yang symbols) and represent the sky, while the even numbers are shown as black dots (the Yin symbols), the symbol of the Earth. The next magic square is found in the the handwriting 4801 of Ayasofya and dates back to the 13th century. 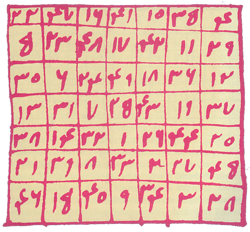 It documents that magic squares in the Arab world were widespread before they found their way to Europe. You will find a lot of magic squares in the centuries from 950 until 1300. Another famous historical magic square is by Albrecht Duerer, who was a German painter, engraver and woodcut designer. 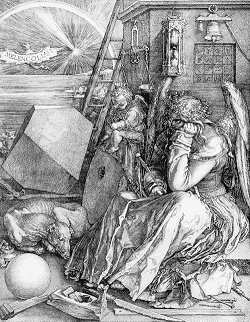 The square was incorporated into his famous engraving Melancholia. The bottom row shows the year of creation 1514 in the center cells.